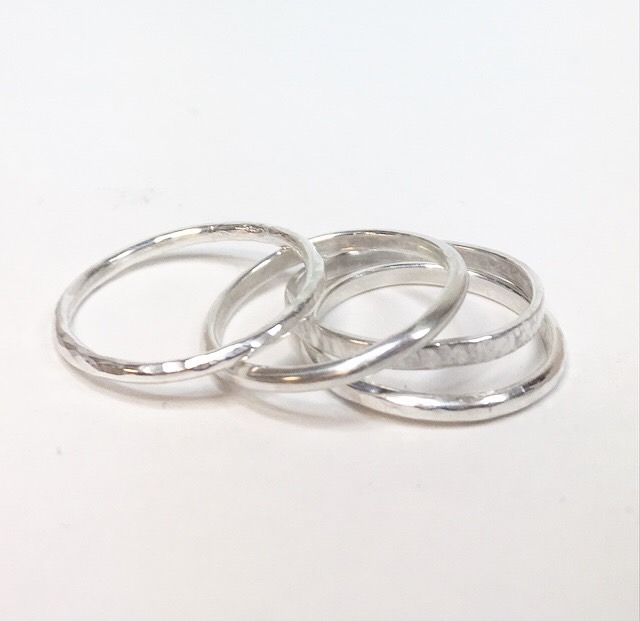 In this 2-day workshop, students will learn basic goldsmithing techniques to create multiple stacking rings in sterling silver. Students will learn piercing, forming and soldering as well as finishing and decorative techniques to create unique, handmade jewellery. Tammy McClennan is a Canadian artist who has exhibited in North America and Europe. She attended OCADU in Toronto where she studied Sculpture/Installation and later studied Metalsmithing at NSCADU in Halifax, Nova Scotia. Her work is an exploration of forms, materials and fabrication techniques, often with environmental themes. She is currently an Artist in Residence at the Cape Breton Centre for Craft & and Design in Sydney, Nova Scotia.